Reminder Parent Teacher Conferences are again tonight from 4:00-7:00. These have been scheduled in advance. Track Pictures are scheduled for Friday after school for both Jr High and High School students. Baseball Pictures have been moved to Tuesday, April 9th, after school at PBJ. Speech Awards Night will be held tomorrow, Friday, April 5th, at 6:30 PM at the Riverside E Free Church in Mayville. It’s Prom Week! 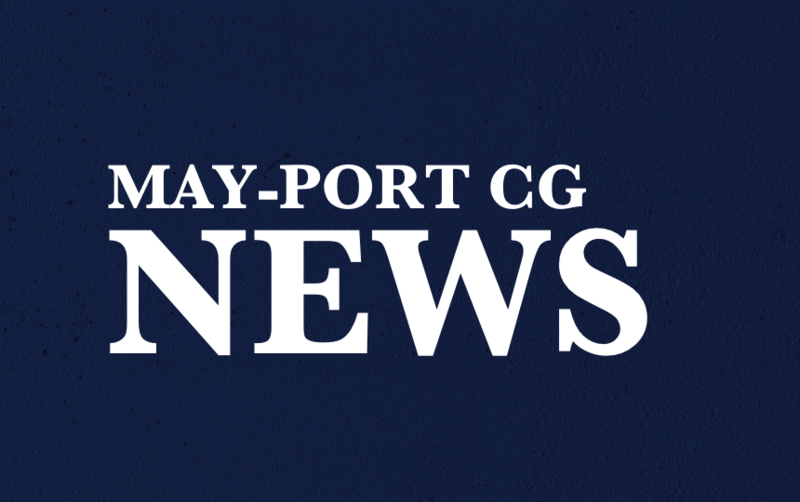 The May-Port CG Prom will be held this Saturday, April 6th. A reminder that the gym is closed for decorating. Pictures start at 6:00 and Grand March starts at 7:30. Public admission prices are $5 per couple, or $3 per person. The full schedule is posted on the website. Prom Picture Order Forms are on the table outside of the office – pick yours up today! Juniors: If you are interested in OWE for next school year, please pick up an application from Mrs. Strand. Applications are due Friday! DODGEBALL! There is a signup sheet in the office for Glow In the Dark Dodgeball for those attending the Post-Prom Party. If you would like to participate in this, please sign up in the office. Please remember you must wear a neon or light colored shirt to participate! Good Luck to the Track Team competing today in Grand Forks! Students are dismissed at 3:15. Let’s go Patriots! Today’s menu is Corn Dogs, Baked Beans, Scalloped Potatoes, Peas & Carrots, and Pears. 25¢ for extras.